Let Waddley Share the World! Winter can seem endless when you spend so many days inside, but a good book can be the perfect opportunity to step outside without actually having to leave your home! 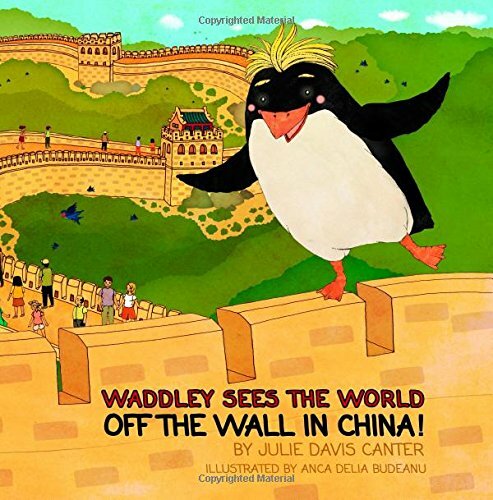 Waddley Sees the World is the perfect series for you and your child to go on new, exciting adventures — all from the comfort of your own home! 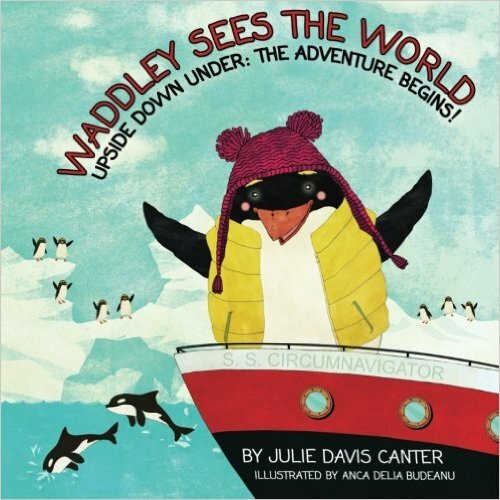 Waddley, a Macaroni penguin who lives in Antarctica, has always dreamed of seeing the world! He gets his chance when he meets Lexi and Sam, two young visitors traveling with their parents, and secretly follows them back onto their ship. Delighted to see him, they tell Waddley he’s come to the right place: the ship is on a round-the-world cruise! With gorgeous illustrations, the Waddley Sees the World series is great way for kids to have fun while discovering the big world we live in. The New Year is Coming! Celebrate with Waddley! Did you know that unlike most sea mammals,which rely on blubber to stay warm, penguins survive because their feathers trap a layer of warm air next to the skin that serves as insulation, especially when they start generating muscular heat by swimming around? Did you know that because they aren’t used to danger from animals on solid ground, wild penguins exhibit no particular fear of human tourists? Did you know that an earlier, anonymous diary entry from Vasco da Gama’s 1497 voyage around the Cape of Good Hope makes mention of flightless birds as large as ducks? Did you know that the first published account of penguins comes from Antonio Pigafetta, who was aboard for Ferdinand Magellan’s first circumnavigation of the earth in 1520 when the animals were caught near what was probably Punta Tombo in Argentina?